I live in a two story home in suburban Chicago. The home is about 20 years old, and that puts its manufacture date just a few years before the introduction of Windows 95 and the public “release” of the internet. Yes, yes… Of course, you’re right… Services like AOL, Prodigy and CompuServe were available long before that and had been giving folks access to the internet for a while. To many, that service, its UI, and everything it offered WAS the internet. However, the internet really didn’t start to heat up until 1995; and really didn’t start being made part of the standard single family home build with CAT5 cabling, until the early 2000’s. For those older homes or those without network cabling in their walls, the easiest way to get internet access in your home has been with Wi-Fi. This is either done with a wireless access point, or more conveniently with a wireless router or cable modem/ router. 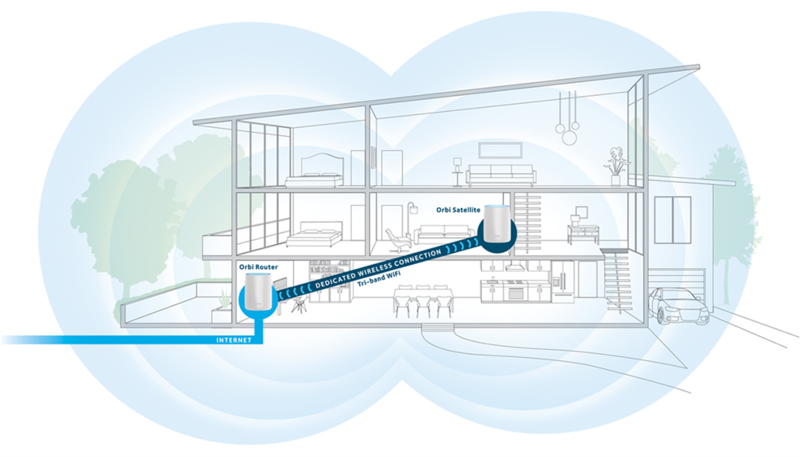 Suddenly, you can get internet access all over your home… provided you have adequate signal. And with Wi-Fi, that’s always been the big problem – adequate signal strength between your router or access point and your wireless device. No matter what you do, you’re going to run into signal interference from something in your home, whether it’s a wall or floor with wood or metal framing, copper, brass or PVC piping, electrical wiring and conduit… something is going to get in the way of your super strong, super-duper wireless router and will interfere with your access to the internet and all of its wonders. 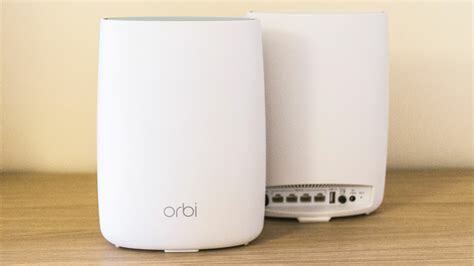 Is the Netgear Orbi the wireless Wi-Fi router for me…? for you…? Let’s take a look at what it provides and see if it makes the cut.